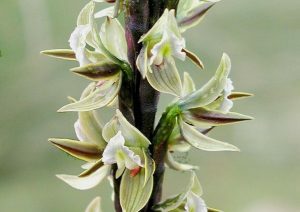 To promote interest in and preserve Western Australian indigenous orchids. To learn the best means of cultivation and do all things possible for the conservation of native orchids in their environment. To learn their habitats and keep records. To have field days and learn to recognise the different genera and species. To hold meetings for the exchange of knowledge and furthering of interest in Western Australian orchids. Meetings are held on the third Wednesday of the month at 7:30 pm in the Kings Park Administration Buildings off Fraser Avenue (March to November inclusive).